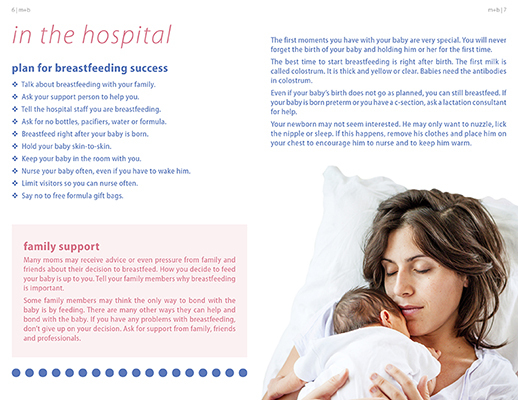 Learn about the companion guide for dads! 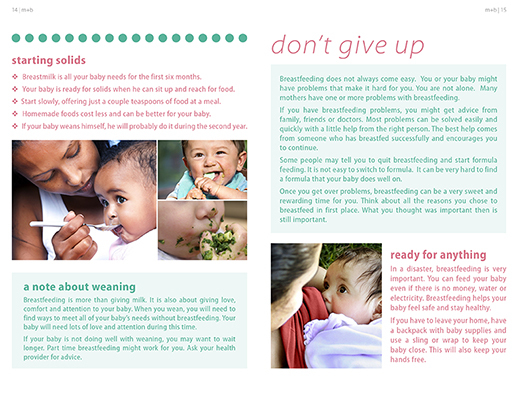 mom+baby is a colorful magazine style booklet that makes learning about breastfeeding fun and easy. 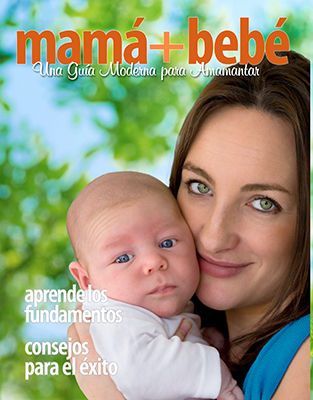 mom+baby offers moms the basics and tips for success. 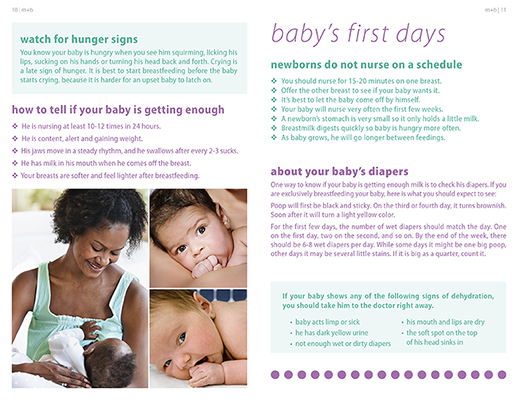 16 colorful pages feature easy to read lists and short articles. 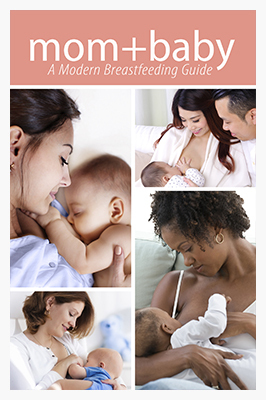 Large print, modern graphics and multicultural photography throughout make it the perfect modern breastfeeding guide. NEW FLAT PRICE of 99¢ per book. 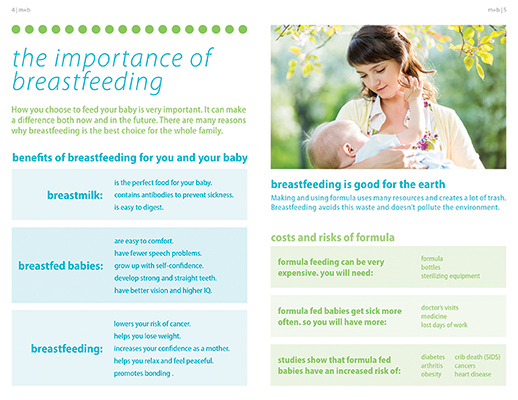 Call for prices on 2500 or more.